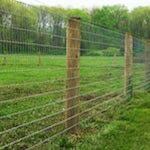 Using an electric fence to contain your cattle can be the best cattle fencing option. 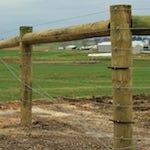 Over time, a woven wire fence will wear down from cattle rubbing up against it or running into it. After a few low current shocks that do not harm the animal in any way, the cattle will psychologically know not to try and get beyond the fence. This keeps the fence in tact and undamaged for a long time. Contact us today for an accurate Electric Cattle Fence Estimate. 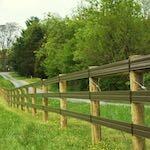 ProFence, LLC has decades of experience installing all sorts of fencing in the Eastern USA. Installing electric cattle fences are no exception. We deliver to you an accurate estimate and an electric cattle fence that is installed correctly over all sorts of terrain and around obstacles. We are proud to see electric cattle fences that we installed years and years ago still standing. 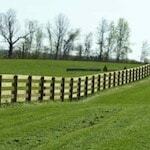 ProFence is here to perform any repairs that may be needed through the lifetime of the fence. 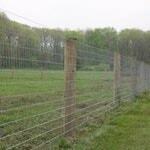 With proper upkeep, an electric fence can last a lifetime. 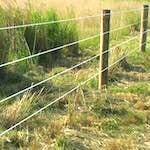 Be sure to inquire about our electric cattle fence repair and maintenance services.